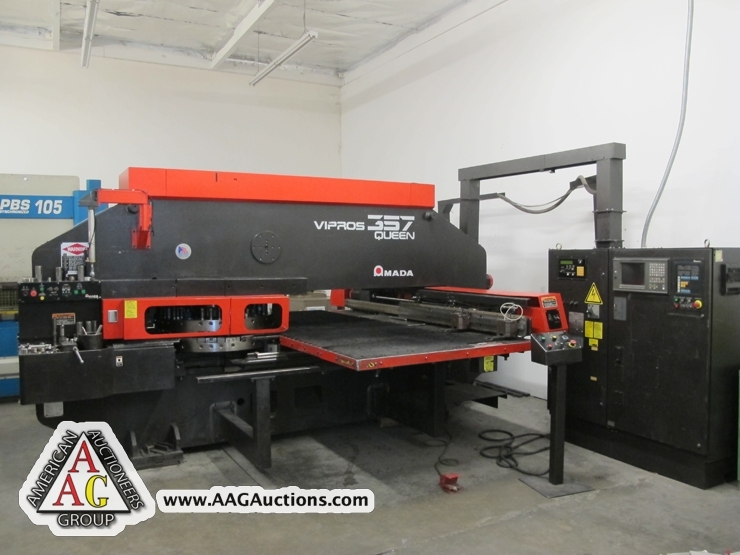 2000 AMADA VIPROS 357Q CNC TURRET PUNCH, WITH FANUC 18P CONTOL, AUTO INDEX, THICK TURRET, 33 TON CAPACITY, 58 STATION, BRUSH TABLE, 50 X 70 TABLE, S/N AVQ57192. 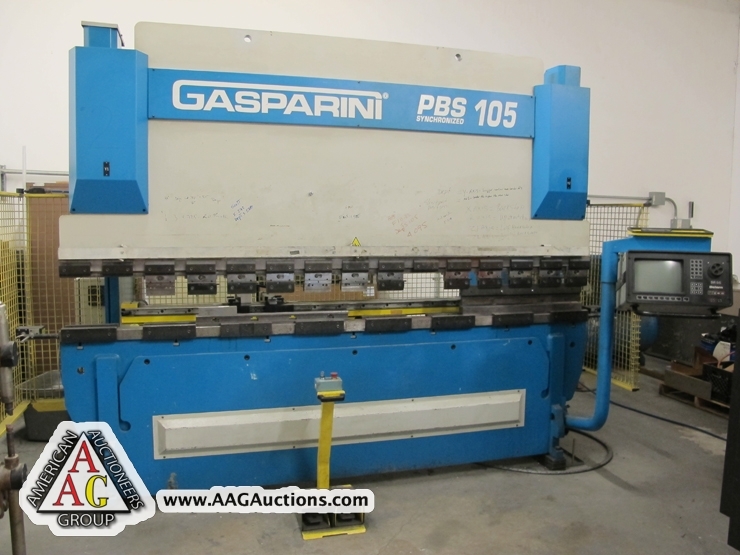 1999 GASPARINI PBS-105/3000 CNC PRESS BRAKE, 122’’ X 115 TON, WITH DALEM-65 5 AXIS BACK GAGE CONTROL, SYNCHRONIZED, S/N 099-4070. 100’S OF AMADA PUNCH AND DIES. 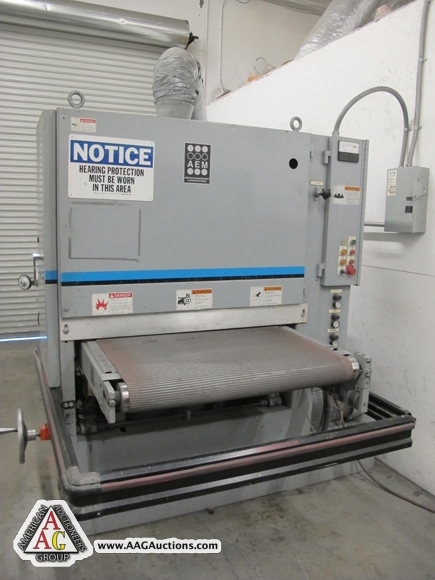 AEM MODEL 501-37, 37’’ WIDE BELT GRAINER, S/N 01256. 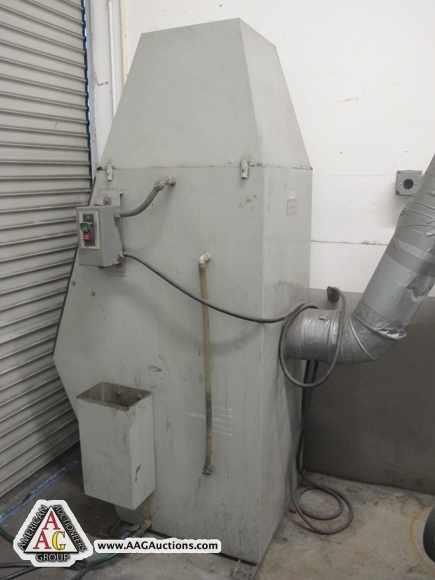 CAT MODEL C5 DUST COLLECTION SYSTEM, S/N 199. 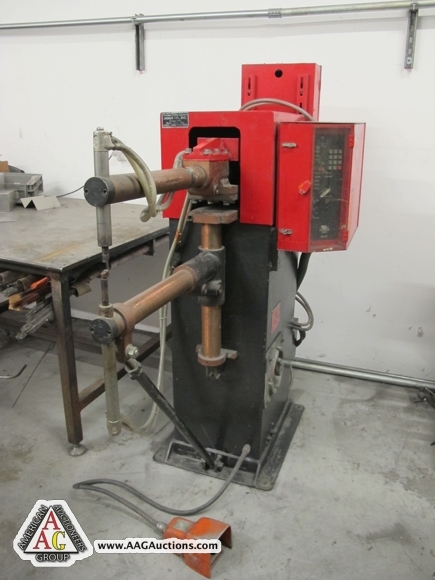 JANDA 100 KVA SPOT WELDER WITH CNC CONTROL. 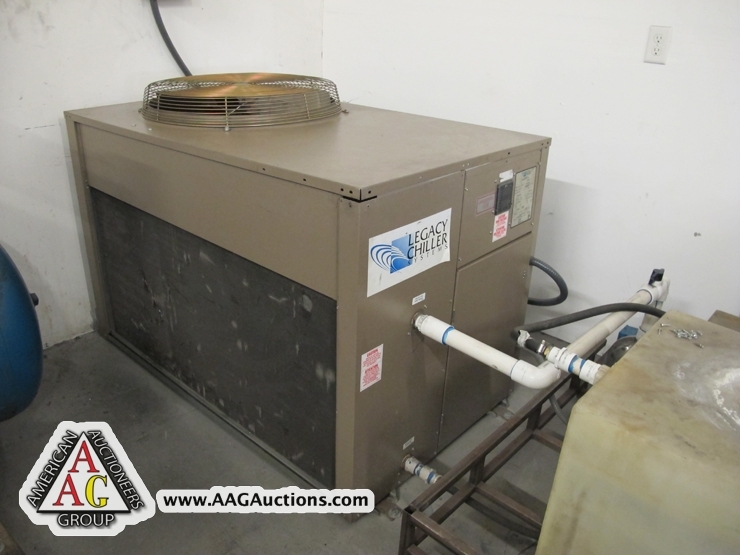 LEGACY MODEL PAC 60S2-T3-Z CHILLER. 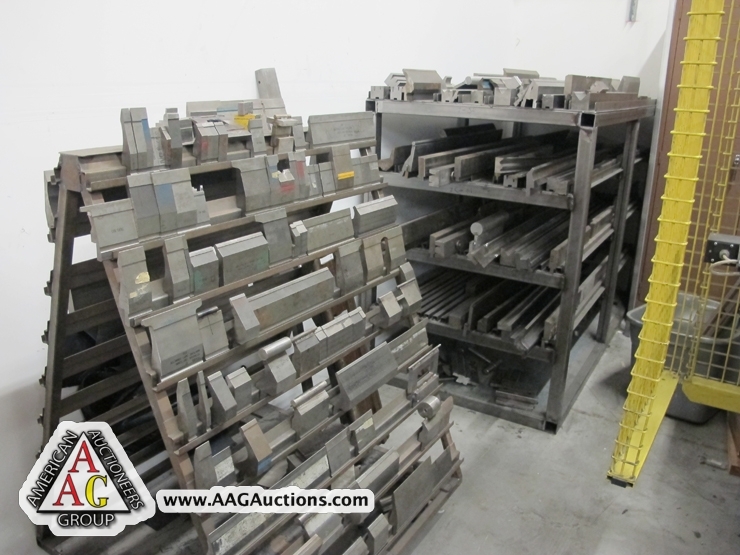 ENCO INITIAL PINCH PLATE ROLLS. 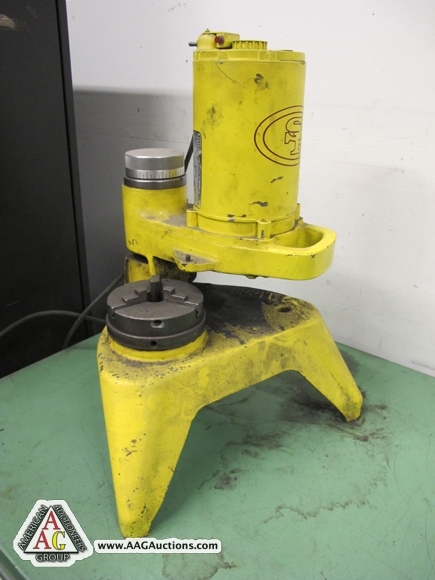 PATTONS 10 HP AIR COMPRESSOR. 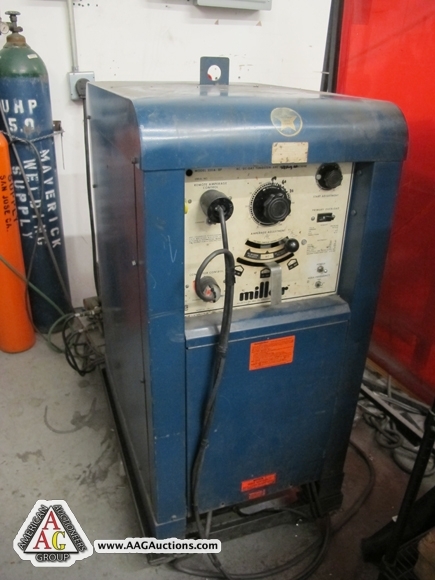 MILLER MODEL 320A, TIG WELDER. 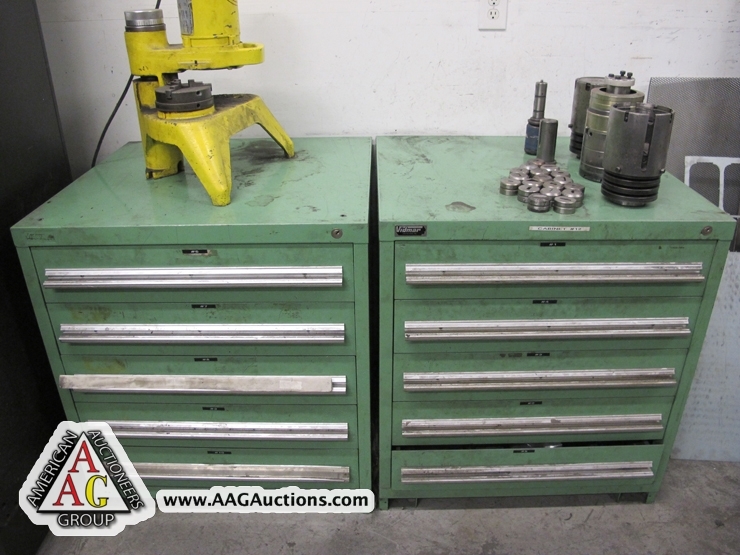 VARIOUS METAL WORK TABLES, WELDING AREA, AND OFFICES.